Sharing my bentos from last Friday. 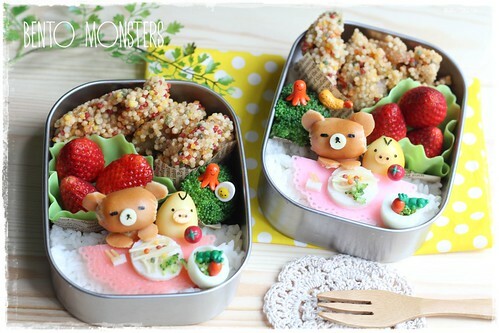 :) Rilakkuma and Kiiroitori having their lunch, lol. 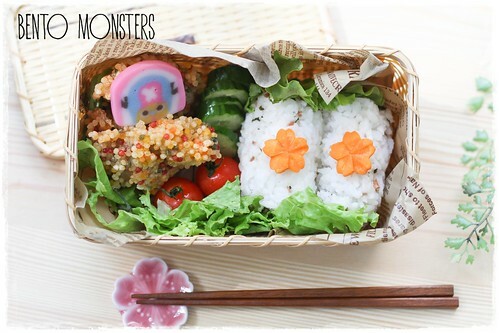 Miniature food are made from pasta, kamaboko, quail eggs, broccoli, bubu arare and bento picks. 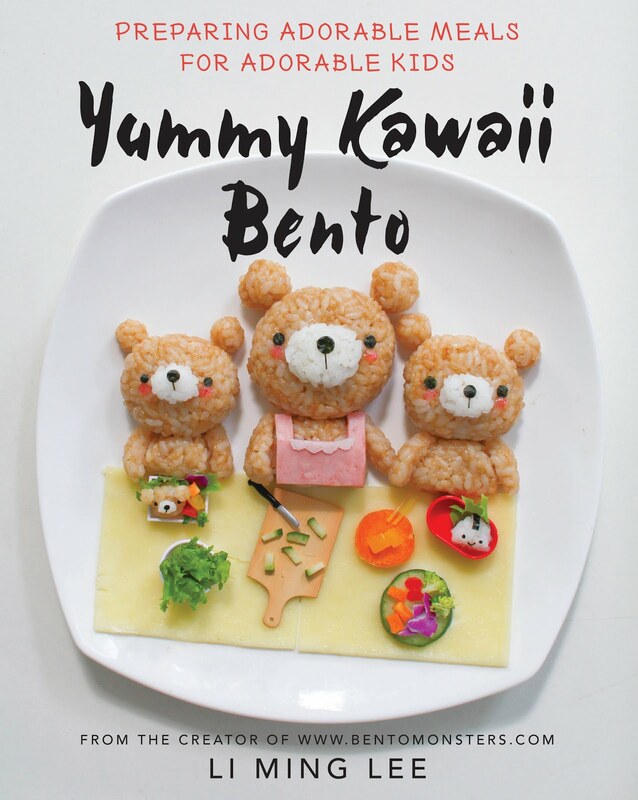 Rilakkuma is made from sausage and Kiiroitori is made from quail eggs. Chicken are coated with bubu arare and pan-fried. They also had broccoli and strawberries. This is sooooo amazing! gosh! 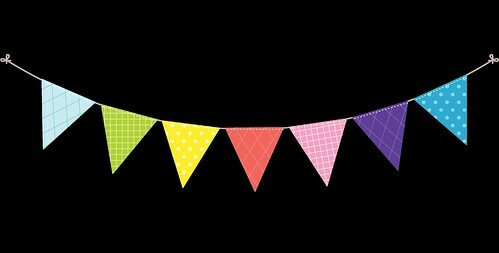 the details!! so cute! 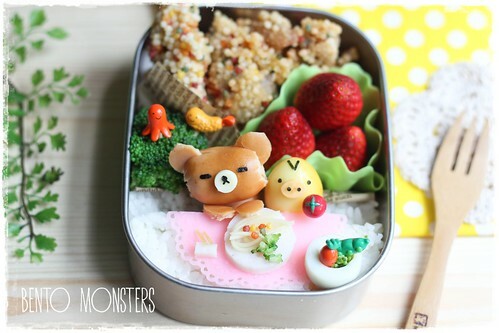 Love the details on the miniature food! It should be against the law to make something this stinkin' cute!!! LOVE it so much!! Gosh, the details really made me speechless -_-"